Interiors InVogue are specialists in chic and stylish luxury glass furniture. If you aspire to add the glam factor to your home, then look no further and check our store here. As an online shop we deliver sparklingly unique pieces to match your individual style. So if you’re looking for something special to decorate a modern apartment or countryside home, then this fantastic range of home interiors is perfect for you! More than just a retailer, we travel the world selecting only the finest furniture. Therefore your 3 or 5 draw mirrored bedside tables will be one of a kind and make a gorgeous addition to any bedroom. A mirrored piece can completely transform any room by creating a brighter environment, making the most of the light and creating a welcoming and warm space. 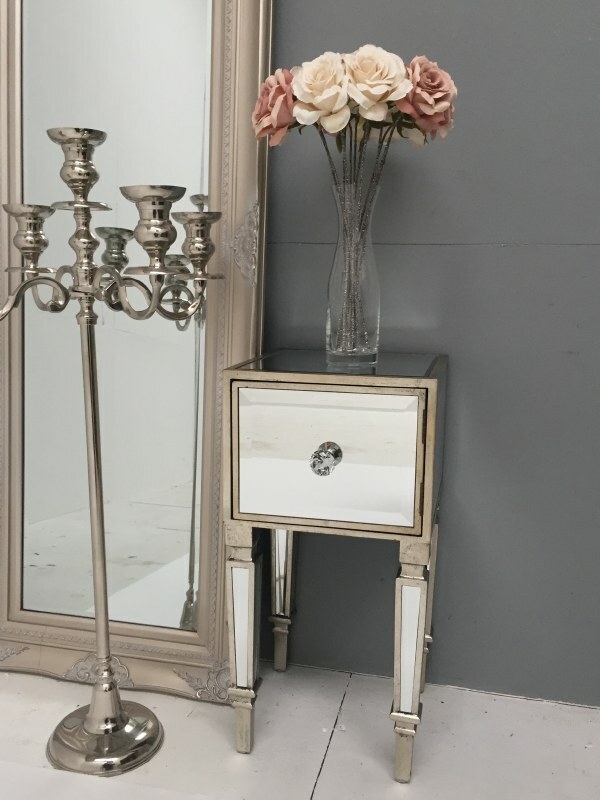 If you are looking for a superb stand-alone finishing piece, then a mirrored dressing table with sliding mirror will really catch the eye. You can display your favourite perfume bottles as a real combination and colour design centre piece against the reflective surfaces. Mirrored pieces are the ideal way to achieve a luxurious interior design. They improve the visual appearance of the size and space available to you and create a fashionable and lasting impression. Mirrored furniture is an “on trend” must for interior designers because it’s a simple way to create stand out visions. No matter how big or small your home might be. The illusion of space and even fascinating optical illusions can be easily achieved based on where the pieces are placed and what they reflect. Your home is where you are most comfortable and should echo a sleek and elegant place to relax. Interiors InVogue have incredible choices available for you. Don’t forget to have a peek at the beautiful range of stylish decorative pieces that add the perfect finishing touch you’re looking for.